Eat for Eagles! Order for Owls! Gobble for Goshawks! Visit for Vultures! Feast for Falcons! Munch for Merlins! Eat at Milford CHIPOTLE and raise money for RAPTOR Inc! Please join us for a special fundraising event! Tell the cashier that you wish to support RAPTOR Inc. with your purchase and 33% of your purchase will be donated to RAPTOR Inc! You will not be charged extra. If placing an order online during the fundraiser, please note you must choose the pay in-store option and inform the cashier of your participation before paying. 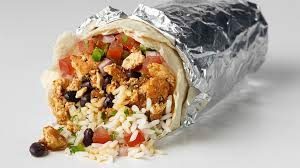 Check out the Menus and Order Online at www.chipotle.com. Bring the attached flyer, show it on your smartphone or tell the cashier you’re supporting RAPTOR Inc.’s cause. There are 2 flyers on each page…use one and share one! Join RAPTOR Inc. staff and board members for dinner at the location from 5pm-6pm. Flyers cannot be passed out on Chipotle property. Gift card purchases during fundraisers do not count towards total donated sales, but purchases made with an existing gift card will count. Thanks to Milford Chipotle for supporting local raptor conservation!